Chesterfield (population 223) is located in southwestern Illinois in western Macoupin County. Illinois Route 111 is the main road passing through Chesterfield which is located between Rockbridge Road and Macoupin Station Road. Towns for reference to locate Chesterfield would be Springfield (40 miles northeast) and Alton (20 miles southwest). Macoupin Creek flows through Chesterfield, too. Chesterfield was platted in 1836 by the gentlemen who owned the land, Jesse Peebles and Aaron Tilly. It is believed the town was named after the early settler's home town of Chesterfield, England. A post office was established in 1838. 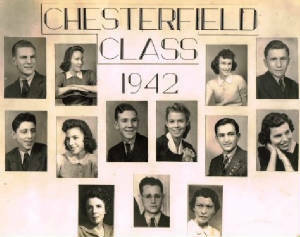 "Chesterfield High School closed in the spring of 1947 (for 1947-48 school year). The district paid the tuition for students to go to other high schools. 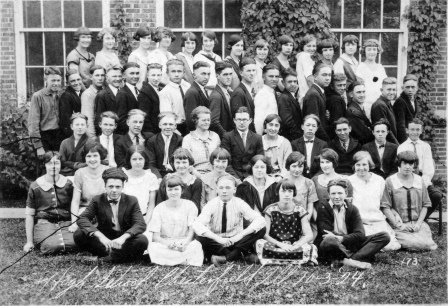 About half of the students went to Medora,High School, the remainder attended Carlinville. 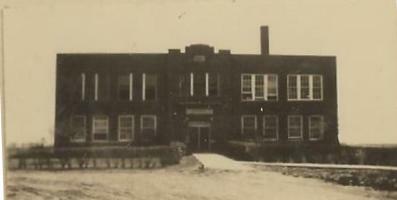 For the 1948-49 school year, all students went to Carlinville as the two districts officially consolidated. Chesterfield High School team uniform colors were maroon and white. I double-checked this with other students, The school mascot was the " C-hawk" (Sea Hawk). The school fight song:was sung to the Notre Dame University Fight Song tune. Thanks for keeping the memory of Chesterfield High "out there." It was a small school, 32 students, the town had only 225 residents." 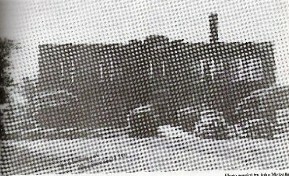 The Chesterfield High School building was used in as Chesterfield Grade School in the Carlinville Consolidated District from 1946 to 1979 and then it was torn down shortly thereafter. The photo above was submitted by Lowell Getz. 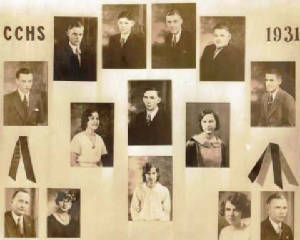 Lowell's mother, Evelyn Dowland, is located in the top row, the third person from the right. 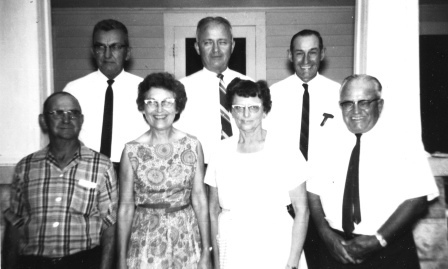 The first person on the right in the top row is Lucile Wheeler. 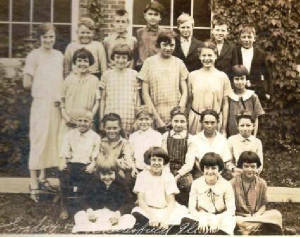 In the second row from the top Theodore Duckles is 8th from the left and Myron Eldred is third from the right. 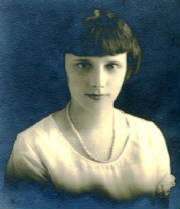 The photo was taken on October 03, 1924. 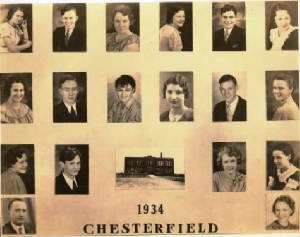 School Fight Song: "Cheers, Cheers for Old Chesterfield"
School Motto: "Onward and Upward"
Chesterfield High School definately offered boys basketball and boys track. CHS boys probably also competed in baseball. The Chesterfield kids nearly pulled off a truly unbelievable accomplishment for a school their size. They finished 2nd in the State Track Meet "B" division in 1924!! Speedster Bill Knoop ran times in the 100 and 50 yard dashes that rivaled that of the "A" meet. The complete rundown of the nearly magical year is written about below. 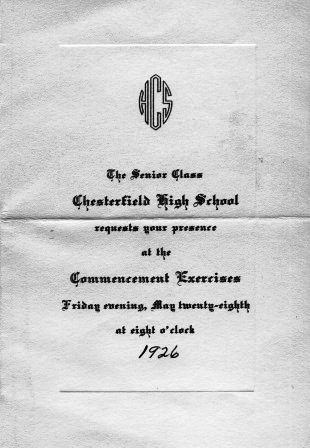 Chesterfield High School thinclads came home from the State Track Meet in 1924 with PLENTY to brag about. The town of Chesterfield must have been bristling with pride at the state meet runner-up finish the boys earned. Three athletes earned individual medals and a fourth joined them to earn a 3rd place relay finish. The combined points brought the team within 4 points of State Champion Girard. This incredible accomplishment is listed below. A note of interest is that if Chesterfield would have been combined with its future high school Carlinville (who finished 4th with 15 points) in 1924 the team would have won the State "B" Championship going away with 31 points! Bill Knoop 50 Yard Dash STATE CHAMPION!! Bill Knoop 100 Yard Dash STATE CHAMPION!! The Chesterfield High boys basketball team brought home two District Championship plaques. Unfortunately the team records and coaches names are not available. We are hopeful for more information regarding the other great teams in Chesterfield High School history. Conference champs and great records are being sought. The years of the District titlists are listed below. Some scxores of the IHSA tournament involving Chesterfield were located on a website titled "Illinois Postseason Basketball Scores". "The Chesterfield High School basketball team won the Macoupin County Championship three consecutive years - 1923,1924,1925. It was when the rules had the teams jump-center after each score and Chesterfield had a 6'4" guy named Olin Gahr who always got the jump and who the others just fed under the basket to score again." Lost to Madison 12-8 in 1st Rd. 1938-39 though 1943-44 District scores not available. Bottom Row: Mrs Zella Cundall ?, Prof J Harley Hazes, Mrs Imogene Skinner ?